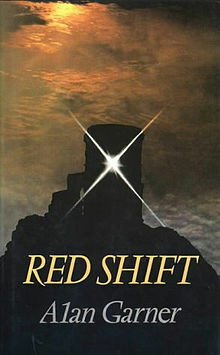 In a Lecture given in 1975, Alan Garner said that each of his books could be seen as an expression of a different myth. For Elidor we should look to Childe Rolande and Burd Ellen; The Owl Service to Lieu, Blodeuedd and Gronw from the Fourth Book of the Mabinogion. And Red Shift? The Ballad of Tam Lin. Unlike The Owl Service, the connection is not obvious, not to this reader anyway, but it is typical of Garner that, once seen, it is clear. The story of the earthly knight trapped in elfin form by the Fairy Queen then snatched from her clutches by plucky young Janet who pulls him from his horse, holds on to him through some fierce shape shifting and finally cloaks his naked body in her green mantle thus saving her love and the father of her child, informs and infuses the novel in a deep kind of way, barely discernable on the surface but THERE. Once one knows, then this layer of this multi layered work becomes obvious. At the beginning of the novel, modern star-crossed lovers, Tom and Jan, are separated by class and soon to be by distance. She is the daughter of doctors while he lives with his working class parents in a caravan. She is moving to London while he will be staying on at the caravan park. Tom is a troubled young man, highly intelligent, at odds with his parents, hypersensitive and barely in control of his emotions. Another reference, in a book with many references, is to Tom o’ Bedlam in King Lear. The novel starts with the two lovers looking down at the M6 motorway as they contemplate their parting. The novel is, of course, set in Cheshire, a county with deep resonance for Garner. As in all his novels, place is as important as myth (myth of the place most important of all) and place is key to the different strands of time that run through the book. The two modern lovers inhabit and wander through a landscape that has been inhabited before. Tom’s caravan park is at Wulvern, the site of an ancient burial mound; they take an ancient track leading from Crewe Station across railway sidings to the village of Barthomley and finally to Mow Cop, a place of ancient sanctuary and 'the netherstone of the world' on which 'the sky mill turns...to grind stars'. The novel shifts back and forth from the present to Roman Britain and the English Civil War. The times are linked not just by place, but by the night sky. The lovers are linked by the moon and Orion even when they are far apart. This links them, in turn, to pairs of lovers in the past. They are also linked by a votive Bronze Age stone axe head that is discovered and kept by each of the troubled young men and the strong young women who protect them. The stories are marked by quite shocking violence that twists and turns, looming and receding though time, and is centred on the young men. Macey, at Mow Cop, is a berserker with the Roman soldiers, who is capable of flipping and killing indiscriminately. Thomas is subject to fits and visions and is trapped with other villagers in the church tower at Barthomley by Civil War soldiers in a siege which becomes a historic massacre that occurred on Christmas Eve 1643. Both of these young men are saved by the love of a strong young woman and both are troubled by visions that link them to the modern Tom. The violence resonates to the present with references to the Vietnam War which was going on when Garner was writing. The Roman soldiers have American nicknames and speak in army slang. This is a multi layered and complex novel which makes few concessions to the reader. The movement between time frames is abrupt. Most of the modern story is delivered in jittery, jagged dialogue between Tom and his girlfriend. It is a novel of high compression. Only155 pages long, it requires the reader to do most of the work. The brevity is a stark contrast to most modern YA novels, especially fantasy, and what Garner manages to achieve, the amount he packs in to those few pages, is breath taking. In recollection, it seems a much longer novel, so much is contained within it and much of that actually goes on within the reader’s own head. The elliptical style, the sudden changes, the refusal to provide any easy explanations mark it as a true Young Adult novel defined, not by content, but by narrative sophistication. There is nothing easy about it but it is utterly compelling. Challenging in the true sense, it makes demands on the reader and demands to be read and read again. So said The Times in 1973 and still true today. I'm writing this review on the same weekend as Philip Pullman's much awaited The Book of Dust is being trailed and previewed and I'm wondering if Red Shift would even be published now, for Young Adults anyway, or would it be seen as too 'difficult', breaking just too many rules? readers discussing the relative merits and demerits of reading ebooks. were a bit sniffy about the characters. Most people didn't like them. their faults made them even more interesting. no spoilers!) which twists the novel into a completely different shape. Another thing about Kindles: you can highlight extracts as you go along. and there's not another novel where I've underlined so much. "I knew the affair was temporary. I was on my way to New York City. Twitter feed, @writersreview1 to find them! Labels: Adèle Geras, Delia Eperon, Nora Ephron, Travel. Marriages. Spooky children. Described in The Irish Times as 'one of our foremost writers for young people', Sheena Wilkinson writes both contemporary and historical fiction for young adults. She has won many awards, including the Children's Books Ireland Book of the Year. Her most recent novel is Street Song (Black and White). I blame the Chalet School. Linked to an Alpine TB sanatorium, it sparked off in me a lifelong obsession with all things tubercular. In real life, I am too squeamish even to watch a hospital drama, and flinch from every cough in the street; in the pages of a book no medical detail is too vile. As long as it is about something I am pretty safe not to encounter in real life. So, no to cancer, yes to cholera; no to stroke, yes to scarlet fever. But TB, of course, is the best. And a novel set in a TB sanatorium, thus combining medical beastliness with the enchantment of the closed community – bring it on! 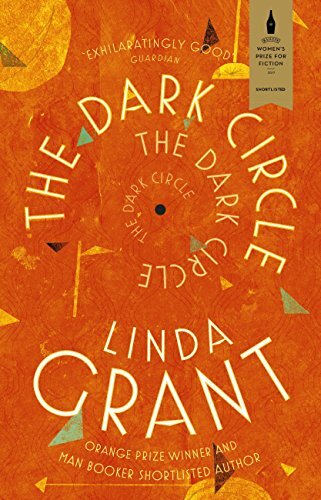 Add in social change, the dawn of the NHS, lesbians and twins – could Linda Grant’s The Dark Circle tick any more of my boxes? 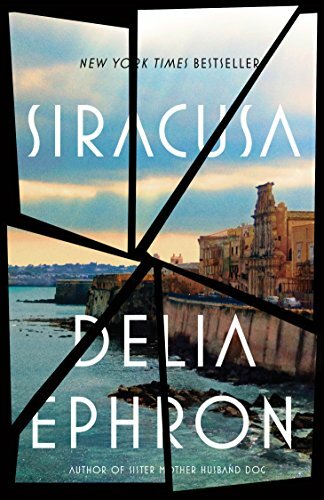 I’ve enjoyed several of her novels before, but I would have picked this one up regardless of who wrote it, simply because of the setting and subject matter. It very quickly became my favourite book of the year so far. I finished it reluctantly and have been busy recommending it to everyone I know. It’s hard to define what makes a book compelling, but from the moment I started The Dark Circle, I really couldn’t put it down. Grant introduces us to eighteen year old twins, Lenny and Miriam, coming of age in post-war London. It’s a grey world of austerity and anti-Semitism but change is in the offing, and Lenny, who ‘had slept with three birds already’ and ‘had his own London drape with two pairs of trousers’ is determined to dodge his national service and be part of the coming boom. He doesn’t expect to be told he has TB and that his twin sister Miriam is also affected. Though the novel spans a wide cast of characters, from patients to doctors to the inimitable Uncle Manny, it is to the twins that we always return, and around their bond that the action spins. This being the dawn of the NHS, these working class characters are swept off to the Gwendo, formerly an exclusive private sanatorium but now ‘opened … to anyone.’ Everything is alien to them – the strict regime; the threatening landscape; the still mostly genteel backgrounds of the patients. They make connections with people they would never otherwise have met, ladies and army captains, girl graduates and even an American sailor. What binds these characters is quite simply their shared experience of their disease: a horrible thing, traditionally a death sentence, but, by the early 1950s, starting to respond to new drugs. Grant acknowledges the romantic cult which has always surrounded TB, but sets this against the reality of symptoms and treatment. Her characters cough, and bleed, and sweat and spit. They grow bored and cold on bed rest open to the elements. They have their lungs collapsed and, in one of the most horrifying scenes, their ribs broken and removed, leaving permanent disfigurement. They grow podgy under the enforced rest and milky diet. A far cry from Keats and even the Chalet School. Grant brilliantly captures vicissitudes of life in this isolated community, poised always between boredom and high drama. Who will live and who will die? Until now, this has mostly been a matter of luck but as the novel progresses, a new treatment becomes available: ‘Streptomycin… It’s supposed to be as compete a cure as you can hope for.’ But stocks are limited. Who will be offered it, and on what grounds? At first I was slightly disappointed when the action of the novel moved on from the intensity of the Gwendo; I had become, like the characters, institutionalised. And that first long section, ‘Each Breath You Take’, remains my favourite. But as I read about the developing fortunes of our heroes, into almost the present day, I decided that this was one of the book’s strengths: to show how close we are to that time which might otherwise seem so distant. It reminds us that Lenny and Miriam and Valerie are our own parents and grandparents. And with a health service in crisis and the terrifying rise of antibiotic-resistant infections, The Dark Circle is a great deal more than a brilliantly-observed period piece. The Dark Circle is published by Virago. 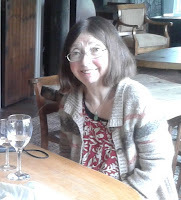 Linda Sargent is a writer who works as a publisher’s reader (David Fickling Books since 2002). She has published short stories and articles and her first novel, Paper Wings, appeared in 2010; she is also the author of Words and Wings, a training guide to creative reminiscence work, available as a free download from her website. Recently we saw the theatrical version of La Strada, based on the film by Fellini who is quoted as saying that, “the best cinema (has) the language of dreams, everything you see there has meaning, but the meaning is not always literal or easily understandable”. 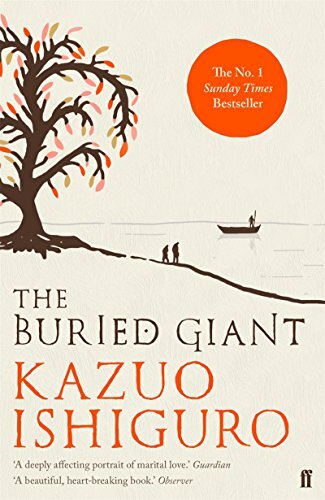 This surely applies to all great art, and certainly to Ishiguro’s powerful and hypnotic book, The Buried Giant. Anyone, picking it up and imagining they’re embarking on another foray into a Game of Thrones’ world is likely to be disappointed, and yet the fundamentals are there, but mystical rather than literal. Similarly, there are the echoes of one of my favourite childhood authors, Rosemary Sutcliff, in her vivid recreations of Roman and post-Roman Britain. This, though, is a Britain of bogs and forests where ogres lurk, stark mountains and rivers sprinkled with sprites and pixies, a Britain of meandering and uncharted paths and all shrouded in a memory-hazing mist, emanating from the dragon, Querig, as she slumbers under an enchantment cast by the now dead, Merlin. A Britain that, for me, evoked reminders of more recent wars too, such as those in the Balkans. In this story Arthur is dead and his one remaining knight, an ancient (almost Pythonesque) Sir Gawain, wanders the land on his faithful horse, Horace, feeling it must be he who is tasked with Querig’s end. It is on Horace that the book’s two main characters, the elderly couple, Axl and Beatrice finally reach their destination of the river and its waiting boatman. The story begins with Beatrice and Axl preparing to leave their communal, but not especially friendly, Hobbit-like burrow; they set off to find their son, absent for some years, planning to travel on foot to his village, despite the hazards of the wild landscape. Essentially, it is an archetypal journey story, fraught with both helpers and hinderers. They and everyone they meet, carry an unsettlingly vague notion of the past that both inhibits and protects them in their present life. Beatrice is nursing a pain that she tries to hide from Axl, but it is clear to him, and to the reader, that it is no trivial matter and at one point, en route, the two elderly Britons seek out a monastery where a monk may be able to offer help to Beatrice, but where other dangers await. Meanwhile, they have met with Sir Gawain, Wistan, a Saxon warrior on his own quest and also his Saxon boy companion, Edwin, rescued from ostracism in his village because of a wound (apparently caused by an ogre) and also on a personal mission, to find his mother. The four of them come together, encounter dangers and frights, are separated and re-united; however, the binding thread running through the story is the abiding power of love between Axl and Beatrice. Throughout, Axl tenderly refers to his wife as “princess” as he encourages and nurtures her during their exhausting and challenging journey. And it is this love, with all of its past imperfections, that mirrors the buried anger and resentment of the people in this mist-covered land. What is raised here is the question of the seductive enticement of repressing memories of past violence (of burying the giant) and how, once uncovered, the dangers implicit in lifting the lid on possible revenge and retribution. Near the end of the book as memories begin to clear, there’s a moving plea from the elderly Axl to the young, newly fired-up, Edwin: “Master Edwin! We beg this of you. In the days to come, remember us. Remember us and this friendship when you were still a boy”. With so much upheaval, displacement and distrust caused by ongoing conflict in our current world this is indeed a story for our times: a story for all time and one that demands many readings. I loved it. 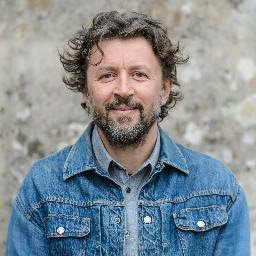 Speaking at the Oxford Literary Festival in March, Dan Pearson said that his love of writing developed alongside his passion for gardening from an early age, and he illustrated his talk with some of the lists and stories, journals and notebooks he has kept from childhood. Now one of the most influential garden designers working today – his Chatsworth garden at Chelsea in 2015 won both a gold medal and Best in Show, and his design studio has worked on prestigious projects in Japan and Italy and many others including Maggie’s Centre in London and Lowther Castle – he somehow still makes time for writing alongside the many other demands of a busy career. 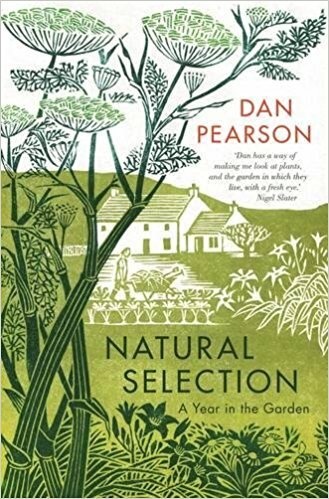 Until 2015 he wrote weekly pieces for the Observer magazine (where his page was the first I’d turn to, and still miss …) and his new book, Natural Selection, brings many of those articles together as a year-book companion, following the seasons’ progress. But while progressing through the months we move back and forth in time and through many different settings – his own plots in Peckham and now Somerset; his childhood home; deserts, forests and coasts he has studied on his travels; a visit to George Harrison's extraordinary Friar Park garden - while other sections compare the merits of various roses or magnolias or planting combinations, or simply look at the joys of a particular season or day: “The garden is a sanctuary of sorts and one that allows me to combine mindfulness with the purely physical.” Although there's a fair bit of dirt-under-the-fingernails detail on semi-ripe cuttings, seed harvesting and growing salads for succession, this isn’t a how-to gardening book so much as an appreciation of plants, landscapes, seasons and the effects of light and shade. The hallmarks of Dan Pearson’s designs are the subtlety of his response to place and atmosphere and the inspiration he takes from wild landscapes. Beth Chatto was an early influence, from whom he began to learn the art of “achieving a delicate balance between steering nature and being part of it rather than trying to dominate,” and “gardening with wild plants rather than overworked cultivars”. He knows the importance of quiet moments of appreciation, whether in exotic locations or in his own garden. Of his planting for Maggie's Centre for cancer care and a friendship that developed with one of the patients, he writes: "I have always instinctively known that intimacy, sensuality and sanctuary in a garden are key to creating a sense of wellbeing, but it has been made so much more vivid seeing it through the eyes of someone who is seizing life with a new intensity." Natural Selection is a beautiful object to hold, printed in dark green rather than black ink and with endpapers, cover design and an illustration for each month by Clare Melinsky. It’s a book to read twice at least: first to devour the lot in one go, as I’ve just done; then returning to each section in its own month. And I recommend keeping a plant encyclopaedia or i-phone handy as you read, as you’re sure to want to look up some of the plants and gardens mentioned and add to your wish-list. To keep in touch with Dan Pearson’s journal, and the development of Hillside, his Somerset smallholding, you can follow his regular blog and newsletter, Dig Delve. There's also an interview there with artist Clare Melinsky. Natural Selection is published by Guardian Books / Faber.